We love Ireland. We don’t only love Ireland because it’s where Google EU HQ is (alongside all of our past and present Google Account Managers! ), but because it is pretty awesome.So, we put our heads together to share with you our favourite St Patrick’s Day campaigns! 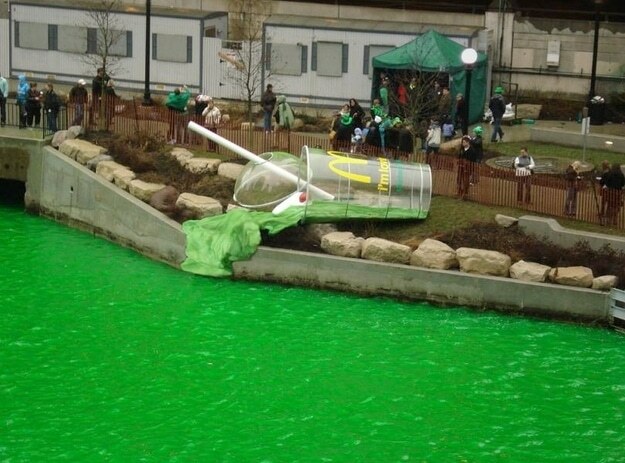 All the way in Chicago, USA, the Chicago River is dyed green every St. Patrick’s Day. This Shamrock Shake advert was created by advertising giant, Leo Burnett! noitulovE (“Evolution” backwards) is a 60 second Guinness Draught stout ad. The ad received over 30 awards, and was the most-awarded advert worldwide in 2006. Guinness even reported that its year-on-year earnings within the region that year had noticeably increased. 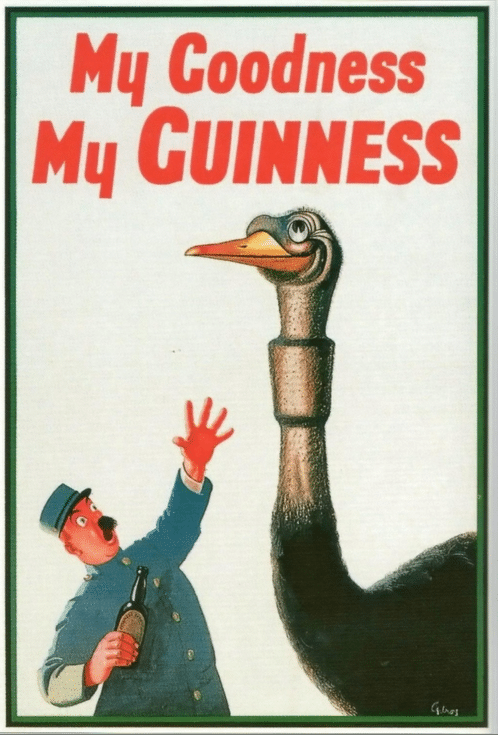 This 1936 Guinness poster ad was illustrated by artist John Gilroy, working for the London ad agency S.H. Benson. Three words for this ad: Liam Neeson’s voice. Do you have a favourite St Paddy’s Day ad?